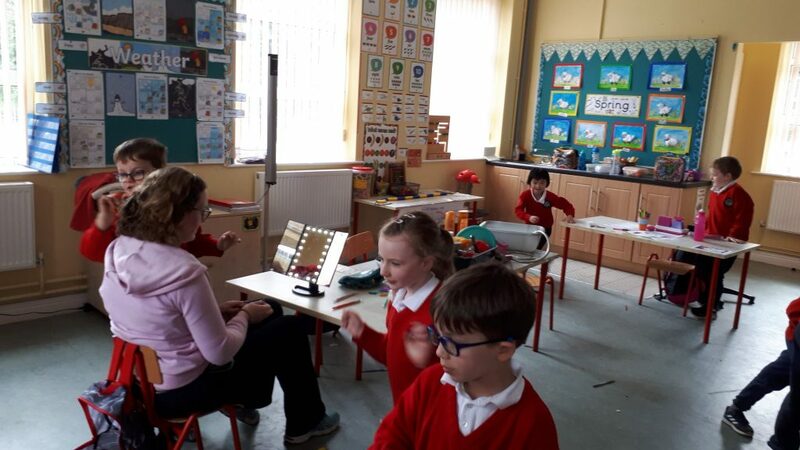 April fun in the Junior Room! 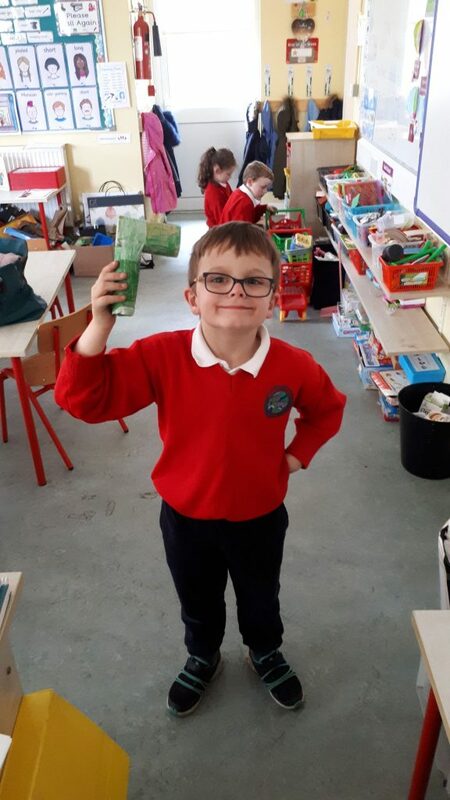 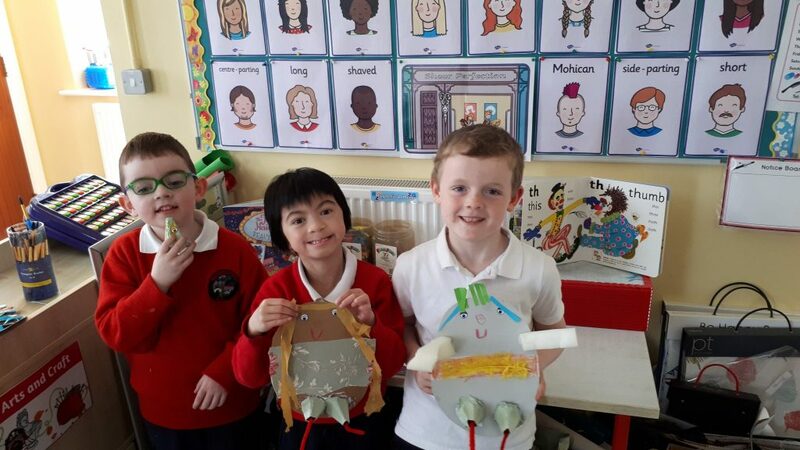 It has been a busy few weeks in the run up to Easter with Junior and Senior Infants. 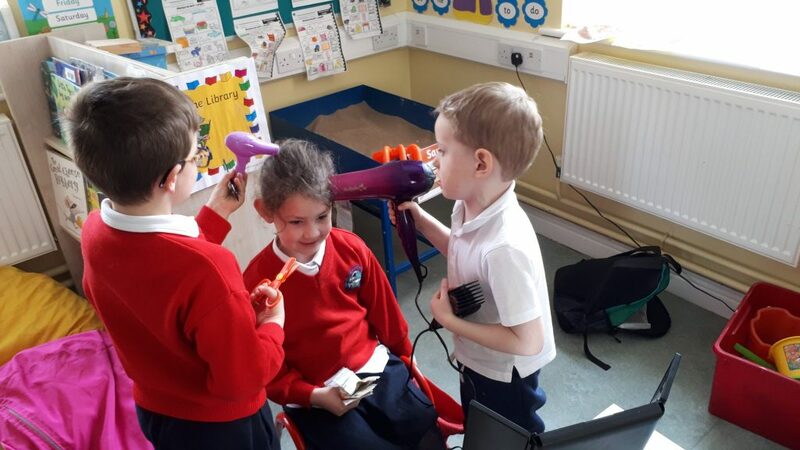 We learned all about the hairdressers in play. 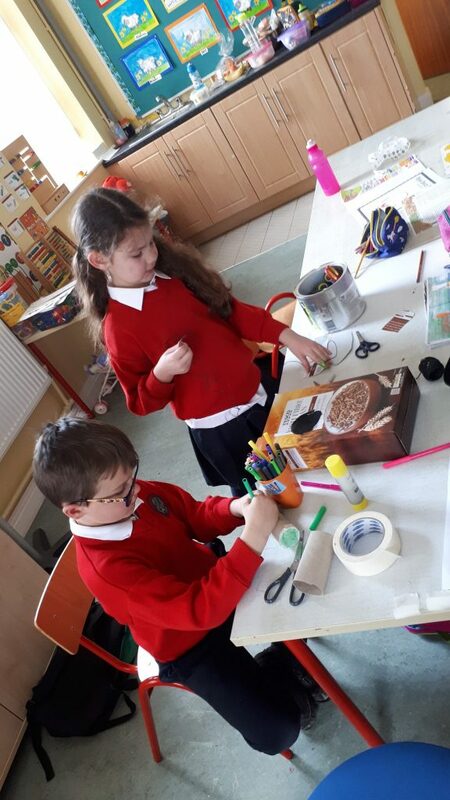 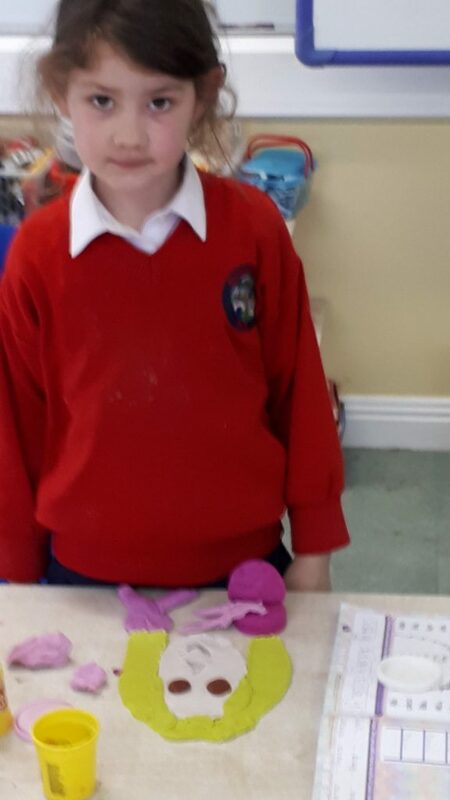 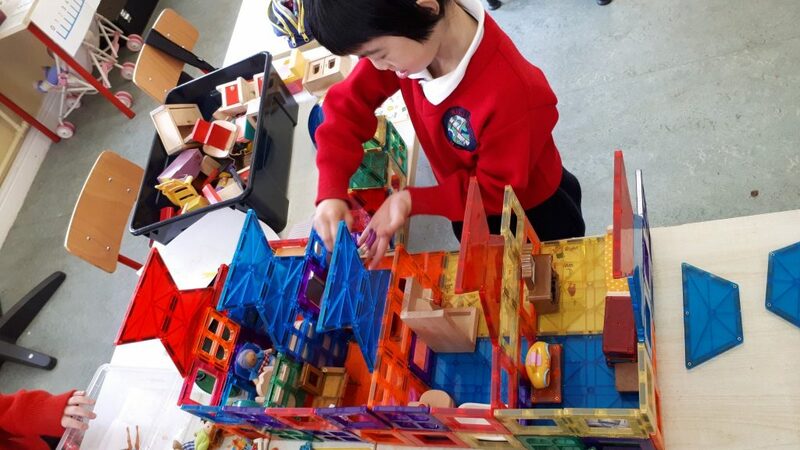 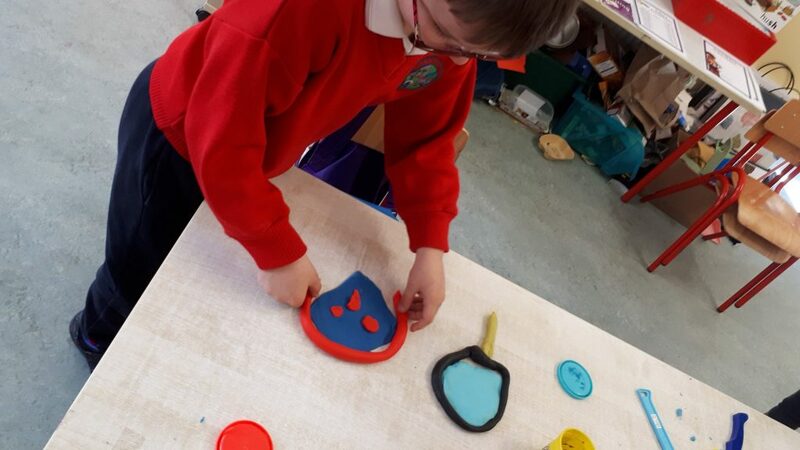 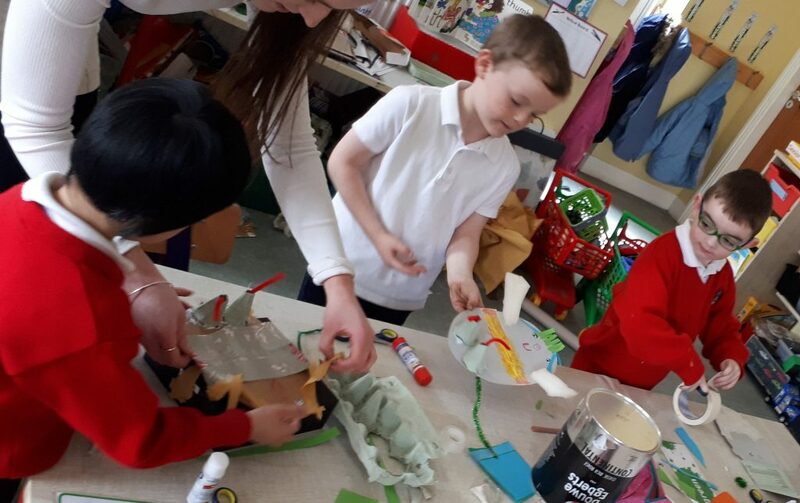 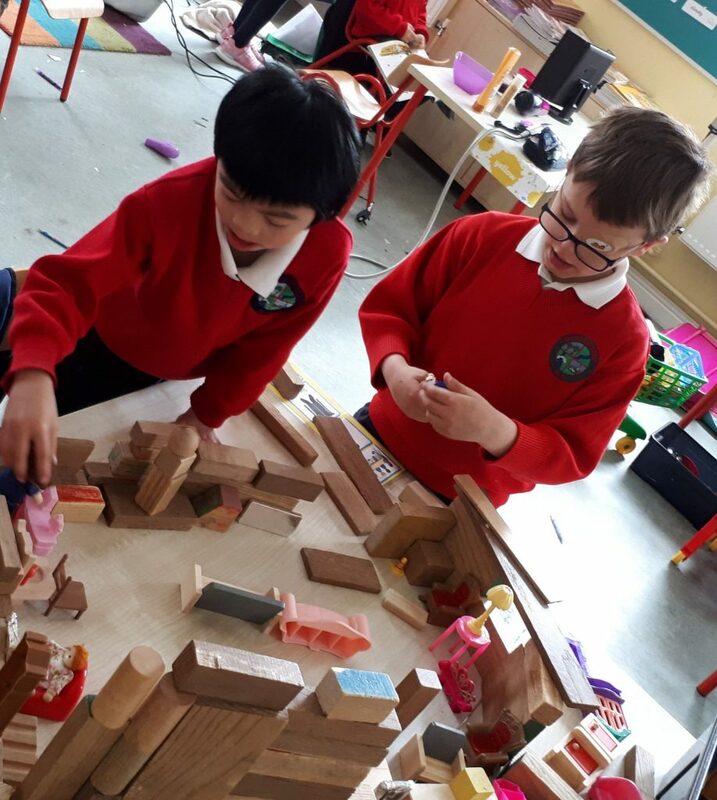 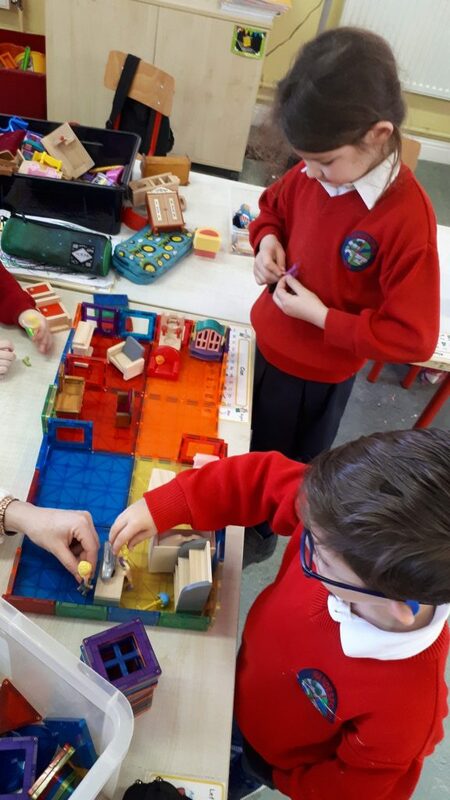 Here we are role playing in the Wandesforde Hair Salon, making items from play doh and junk art and building our own mini salons in small world. 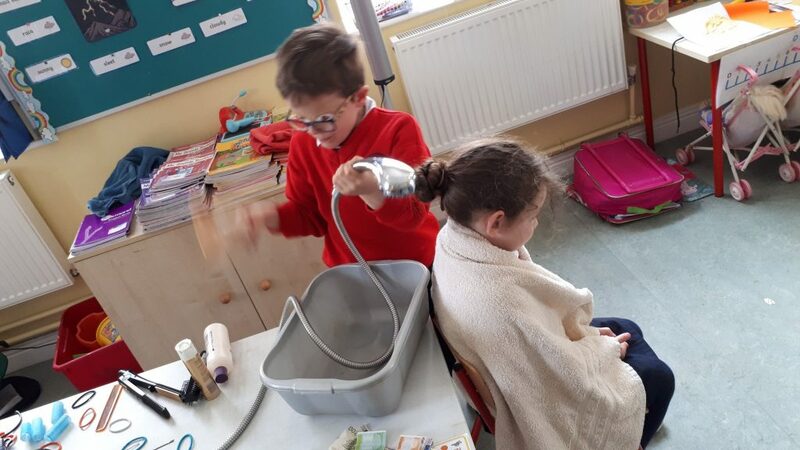 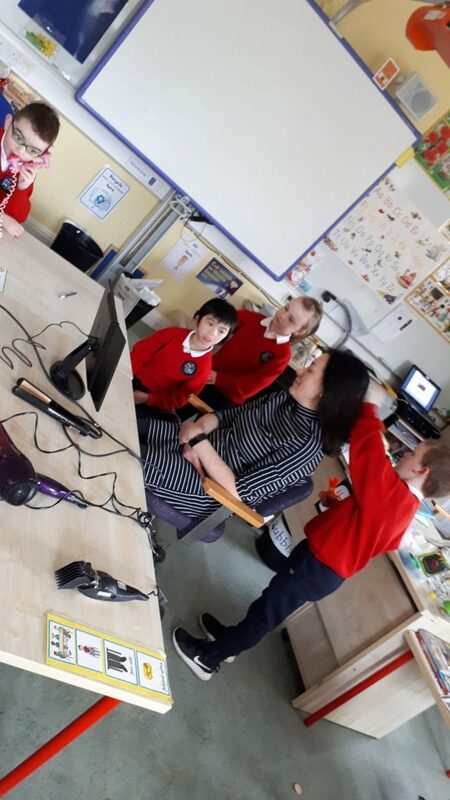 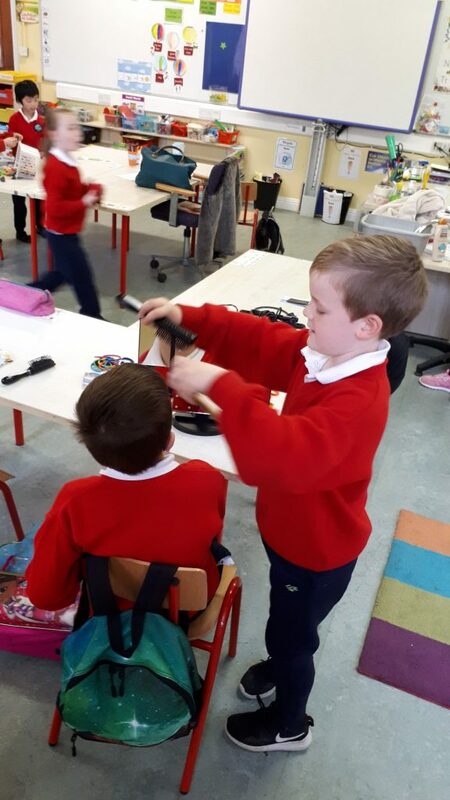 Ms Power and Ms Byrne got their hair styled by the hairdressers at the Wandesforde Hair Salon! 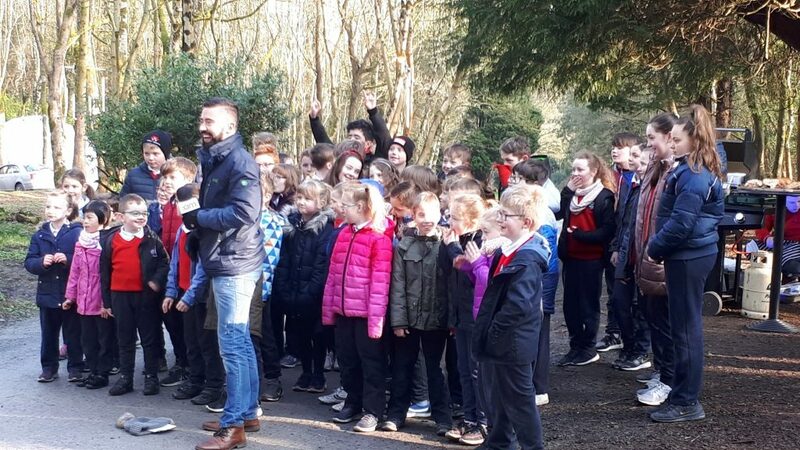 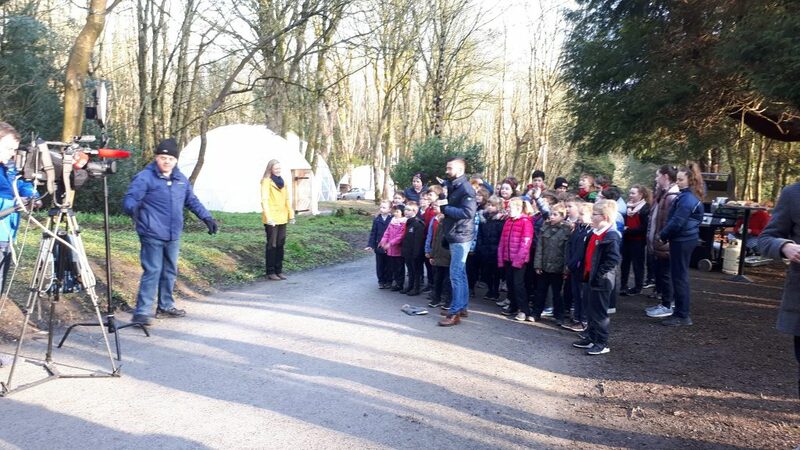 We were up bright and early on April 4th to make an appearance on Ireland AM! 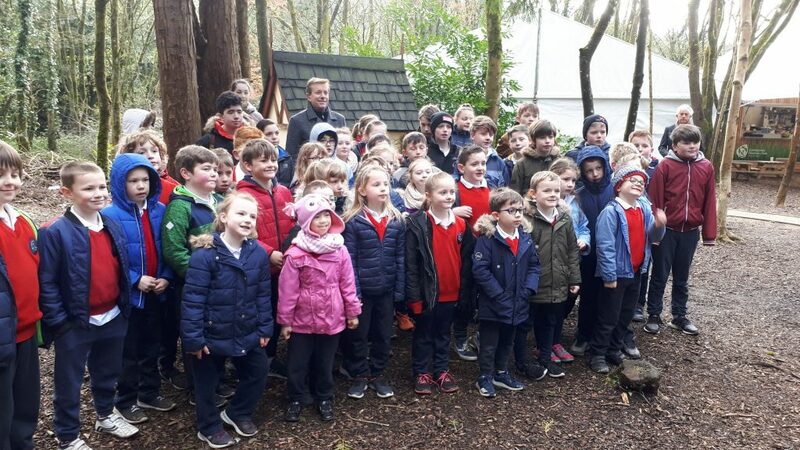 We had a lovely morning in the Discovery Park. 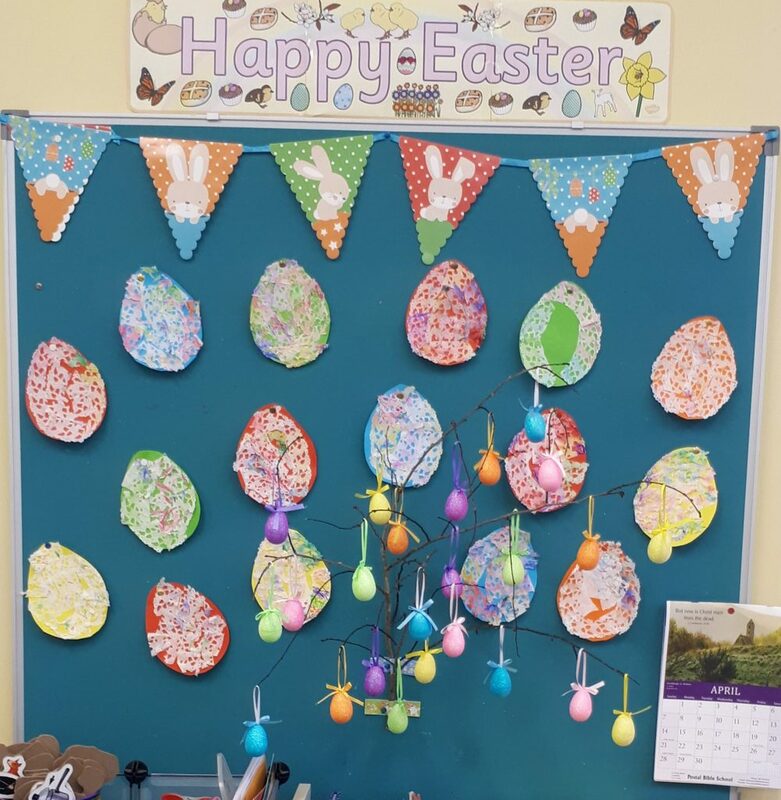 In Art we made colourful Easter Eggs using paper doilies and coloured card. 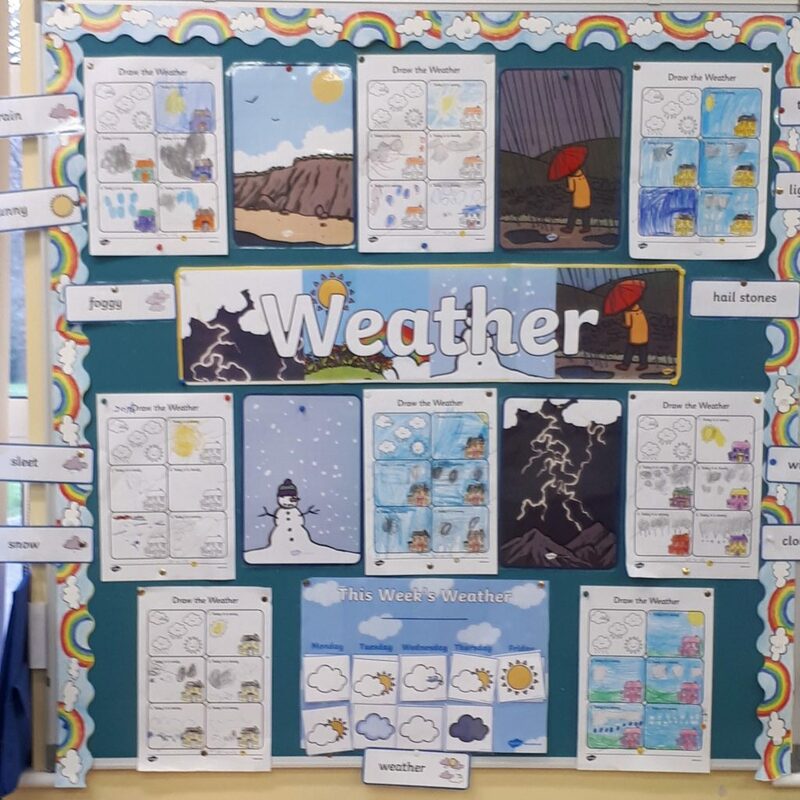 Finally this month we learned all about the weather, we monitored the weather and drew different weather we learned about. 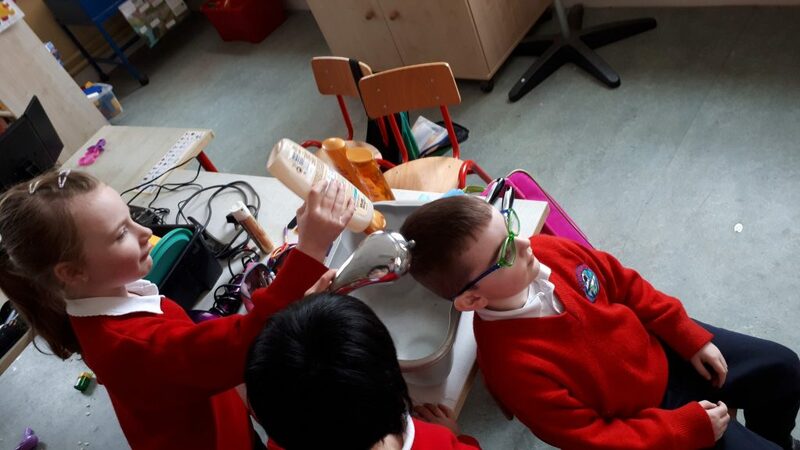 1 Response to April fun in the Junior Room!